Research conducted by Munich University has demonstrated that plasma is fatal to bacteria, yet provides beneficial stimulation to human cell and helps with regeneration. 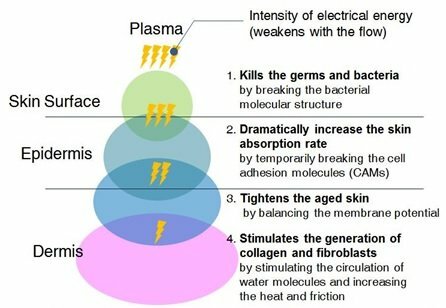 This makes plasma uniquely relevant for use in skin treatments. How does the treatment work for Acne? The Plasma Shower treatment is more diffuse and does not normally require local anaesthetic. An ice pack will be available if required to calm any swelling immediately after treatment. Results are not instant, as it takes a little time for the skin’s renewal and healing processes to work. After acne treatment, the skin will start to look noticeably clearer and healthier within a few days, but it will take a few weeks for the skin to heal properly. Find us on Facebook – Pure Aesthetics Nottingham. How much is the plasma eye treatment please? Does this work on hands too?